On October 7, 2011, Dr. Joy Lawson Davis, author of Bright, Talented, & Black: A Guide for Families of African American Learners, served as a Guest Expert on Global #gtchat. What transpired during that hour moved me immensely and also touched those participating in the chat. Our discussion about identifying and serving gifted learners from Argentina to Somoa highlighted the fact that many of the challenges pertinent to African American gifted learners today mimic the issues faced by gifted and talented individuals of other races worldwide. We were extremely fortunate to have Dr. Davis with us, as she shared her perspectives on how educators, parents, caregivers, and advocates of Black gifted learners can foster more support for this critical population. Whether you are a parent or grandparent looking to support your gifted learner or an educator or administrator who wants to better understand the specific needs of Black gifted learners, you will find this book and Dr. Davis’ Web site to be an essential guide chock full of relevant, timely information and resources. It’s been a privilege getting to know Dr. Davis these past few months; I highly respect her work. Later this month, I will share a follow-up post, which will include a sampling of the online resources she shares in her book and a poignant poem by her daughter, entitled “I Am.” For now, though, please enjoy this Q&A with a true game changer, who is working tirelessly to ensure we support all gifted and talented learners worldwide. As a gifted education coordinator in local school districts and later as state department director I was in contact w/ many parents & educators who were concerned, as I was, that schools were not appropriately identifying and serving all gifted learners. Too many Black students, low income, and other diverse populations were attending schools wherein their strengths were going unrecognized and thus, the children were unchallenged and their gifts and talents wasted. I also realized after my interactions w/ so many parents over the years, that one of the reasons that more white students were being served was because of strong advocacy on the part of their parents. I knew that whenever I had a chance to write a book it would be for Black parents who needed to know more about gifted education so they too could become strong advocates and ‘push’ schools to do more for their high potential and gifted learners. The black community & educators also needed to know more about challenges these students face and how conditions could be improved in schools for the benefit of more students. 2. What are some of the most common challenges Black gifted learners face today? There are three that always come to mind when this question is asked: 1) The first challenge is low expectations that many educators have for African American and other diverse populations simply because of their discriminatory behaviors/biases and lack of knowledge about the black culture. 2) The second challenge is related- teachers with minimal or no training about cultural diversity and how culture impacts the way students learn, how teachers lack understanding or experience with other groups and the strengths that culturally diverse populations can express in a culturally sensitive environment. 3) The third challenge is retention in gifted and advanced learner programs once identified and placed. Identifying students is a challenge, but without the right set of affective supports- many students will lose interest, feel out of place, and simply withdraw from services designed to prepare them for more challenging learning environments in high school and beyond. Supportive peer or cohort groupings of gifted learners from similar cultural groups have a strong impact on the retention of students in gifted and advanced learner programs. Engagement of parents & families also has a positive impact on student success and retention in gifted programs. 3. What do you hope parents will take away from reading “Bright, Talented, and Black: A Guide for Families of African American Gifted Learners”? I hope that this book empowers parents to become Advocates and Champions for their children and others like them. When we do see a population of black students identified for gifted programs, these students are still under-represented as compared to the general population. Nationwide, while black students represent 17-18% of the general school-aged population, they still only represent 8% of the identified gifted population. When parents are empowered to speak up for their own children, my hope is that they will do the same for others. Far too many students are languishing in classrooms everyday because their teachers don’t recognize their gifts or refuse to and that parents don’t have the information they need to make good decisions about how to get schools to address their child’s strengths and provide the right services for them. 4. What can parents, educators, and community members of all races do to better ensure support for this critical population? Becoming informed is the first step, the next is forming community-school task force groups to look into why schools and school districts are continuing to overlook or under-serve these students. Community-school task force groups can be VERY effective if they hold consistent meetings, with deliberate agendas to probe the school district and use information from Bright Talented & Black and other resources to inform their goals and objectives. 5. If a parent is concerned about their child or teen potentially underachieving, what can they do? Underachievement is often difficult to spot. It is more than your seeing a ‘dip’ in school performance. Underachievement can have many causes, student-teacher relationship, school environment, the student’s own internal motivation, peer relationships and home issues are just some of the triggers. What is a bit tricky, however, is that some students may be getting ‘good grades’ and still underachieving, because the coursework lacks challenge and is too easy. Thus, those students may also be underachieving because of low level expectations and coursework. When a parent realizes that a student who was once very satisfied and motivated by the school experience loses that motivation and satisfaction…the first step is to talk with your child. As a matter of fact, in research studies, high achieving Black students report that at home they talk frequently about school related matters, values, traditions and that their open honest conversations assist in keeping them focused in school. Accusations of the teacher, school, and student are not beneficial. But, a frank honest conversation about what is happening at school will usually reveal some clues. A meeting with the teacher(s) or counselor is also helpful. There are a number of excellent books to assist parents with tackling underachievement. I list many of those books in the Appendix of Bright, Talented & Black. Other resources can be found at the Social-Emotional Needs of the Gifted (SENG) organization’s website. 6. How have your own experiences influenced your insights and advice? My experiences as a student, parent, and educator taken together have enabled me to look at the issue of under-representation of Black students in gifted programs from many viewpoints. While my schooling took place many years ago, I was accelerated and grade-skipped during elementary school and for the most part, challenged across content areas. Later, in high school, I was bored and unchallenged- It was through the arts and leadership experiences that I had opportunities to stretch and have a more enriched experience. As a parent, I went into parenting then as a strong advocate, but not only for my children, but for others as well. I took advantage of numerous opportunities to initiate new programs that would serve more students and provide enrichment as well as acceleration for them. Working at the state department and seeing gifted education from a broader perspective did the most to inform my insights. It was through my work at the state level that I came to understand more fully what disadvantages some children had simply because of their ethnicity, their geography/location, or their income. Clearly, more work had to be done and I committed myself to devote my career to opening access and opportunities for students whose needs were not being met in schools in varied settings. 7. 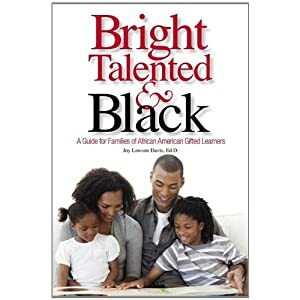 Although the title says it’s a guide for families, “Bright, Talented, & Black” is highly relevant for educators as well. What do hope educators will take a away from this book? I do hope that educators will use this book as a resource guide to help them become more familiar with the intellectual and affective needs of African American gifted learners. I also hope that the book will provide resources, strategies and programs they might utilize locally in developing improved services options for these children and others whose needs are currently not met in gifted programs. I believe that Bright, Talented & Black while written with the African American community in mind can serve to enhance understandings of the nature and needs of all gifted children. With that in mind- I think that educators will find this a useful tool that they want to be sure to have on their bookshelf and one that they will gladly refer to others. 8. Is there anything else you would like to share? I would just like to say in another generation, I do hope that we can ERADICATE the whole notion of under-representation from our educational jargon. Identifying the gifts of learners from all ethnic groups is critical to our survival as a nation and as individuals. We can no longer afford to waste anyone’s gifts and talents. The cure to cancer, AIDS, the nation’s economic dilemma, development of an educational model that is efficient, effective & equitable, and the end to the energy and ecological crisis lie in the mind, heart and soul of a gifted learner somewhere right now. No one knows who that gifted learner may be, what neighborhood they may come from or what hue their skin may be, or how much money their family may have. But it is our shared obligation to seek them out, nurture them and provide options for the development of their ideas. About Joy Lawson Davis, Ed.D. Dr. Davis is an assistant Professor of Education at the University of Louisiana at Lafayette, she teaches undergraduate & graduate courses in Diversity Education & Gifted Education, respectively. She began her career in gifted education as a local coordinator in Virginia and eventually served for five years as State Specialist for Gifted Programs, K-12 for the Commonwealth of VA. As a sought-out expert in the area of Diversity in Gifted Education, Dr. Davis has provided services to districts across the country, in the Caribbean and South Africa. She holds two degrees (Masters and Doctorate) in gifted education from The College of William & Mary in Virginia, and is currently serving Co- Chair of the National Association for Gifted Children’s Diversity & Equity Committee. Dr. Davis also writes a column for Teaching for High Potential, a publication of the NAGC and is co-editor of MOSAIC, the Special Populations Network newsletter for NAGC. Most recently, Dr. Davis was named to the Advisory Board of Gifted Child Today, a practitioner-oriented peer reviewed journal with the largest subscription base of any gifted education journal in the nation. Dr. Davis is married, has three adult children, and shares four grandchildren with her husband. We have greater awareness today of the harmful effects of teasing and bullying, but there is one area of our lives where it remains unchecked: within ourselves. Even the most sensitive and compassionate among us, who would never intentionally hurt another, do not think twice about mercilessly berating themselves. I would like us to examine this accepted practice. What we have labeled “perfectionism,” and have tried to cure in gifted children, may actually be this self-denigration exposed, which is uncomfortable for us to view. As Peace Pilgrim and Virginia Satir have affirmed, peace in the world can only be attained when we have achieved peace within. If our children could read our minds (when they are little, some of them can…), would they hear words of self-comfort that they could emulate? How often are we our own Greek Chorus, our own cheering team? Have we ever asked ourselves if it is OK to treat ourselves the way we do? Jill Bolte Taylor (2006), author of My Stroke of Insight, offers wonderful suggestions for keeping that part of our brain in check. I urge you to listen to her Ted Talk on YouTube. If these ideas resonate with you, I promise that you will find those 18 minutes enlightening and her book even more so. Jill is a brain researcher who experienced a massive left-hemispheric stroke and documented the different realities of our left and right hemispheres. She says that there is tiny portion of our left hemisphere, no bigger than a peanut, which gives us all these negative messages. We are so used to this brain circuitry that we do not even question its appropriateness. But we have choices about listening to it and we can teach our children that they have choices as well. In Chapter 18 of her book, Jill gives practical, concrete advice for dealing effectively with these persistent cognitive loops of negativity. Consciously create your own positive messages and discuss them with your children. Before they go to sleep at night, ask them to share a positive message about themselves with you and to think about it as they fall asleep. Let me know if it makes a difference in the happiness quotient in your family. I would love to hear your stories. Write to me at gifted@gifteddevelopment.com. More about Linda Kreger Silverman, Ph.D.
Linda Kreger Silverman, Ph.D., is a licensed psychologist. She directs the Institute for the Study of Advanced Development, and its subsidiary, the Gifted Development Center in Denver, Colorado. Over 6,000 children have been assessed at the Gifted Development Center in the last 32 years. She also founded Visual-Spatial Resource. Her Ph.D. is in educational psychology and special education from the University of Southern California. For nine years, she served on the faculty of the University of Denver in counseling psychology and gifted education. She co-chaired the NAGC Task Force on IQ Interpretation, during which research was conducted leading to extended norms on the WISC-IV. 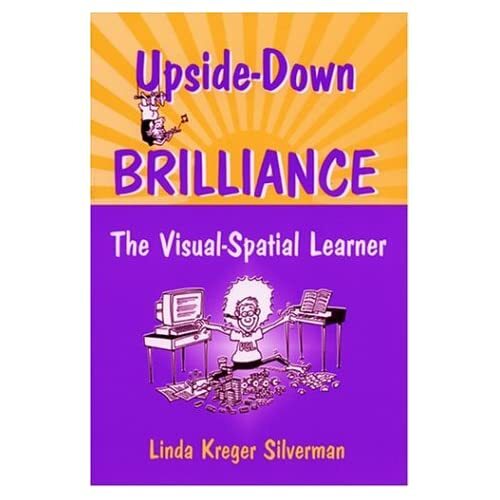 She has been studying the psychology and education of the gifted since 1961 and has written over 300 articles, chapters and books, including Counseling the Gifted and Talented, Upside-Down Brilliance: The Visual-Spatial Learner and Advanced Development: A Collection of Works on Gifted Adults. James T. Webb, Ph.D. not only “gets” gifted children; but he’s also been working tirelessly for decades to ensure parents get the support they need to better understand their children fully. As author, founder of SENG (Supporting Emotional Needs of the Gifted), and president of Great Potential Press, Webb continues to inspire and educate. Together with the board members and volunteers of SENG, Webb and this organization serve as model exemplars for how individuals and nonprofits can stay fresh and impact. For my leg of the National Parenting Gifted Children Week Blog Tour (brought to you by SENG), I have decided to focus on the positives of parenting a gifted child. We all know that sanity and harmony can feel elusive at times; however, organizations like SENG continue to remind us that community matters, gifted learners deserve support, and parents need other parents. Gifted children are complex beings who make life ultra interesting. Finding other parents of gifted learners has never been easier. Social media and the Web make finding resources and support a snap. The more you learn about your gifted child, the more you might find out about yourself. Our world needs your gifted child. Whether you’ve just started on the parenting journey or have already navigated the complex twists and turns of raising a gifted child, one thing is undeniable. Life is never stagnant! The more you tap organizations like SENG for support and learn about the characteristics of these children, motivation, discipline, peer relationships, sibling relations, stress management, and communication strategies, the more you’ll realize how fortunate you are to be guiding these gifted learners through life. And if you haven’t already downloaded your free SENG NPGC ebook, The Joy and the Challenge: Parenting Gifted Children, do yourself a favor and check it out now. Speaking of complexities, I recently came across a video, courtesy of SENG Board Member Lisa Rivero’s Everyday Intensity Blog, which blew me away. Click here to access Rivero’s post on Webb’s must-see video on gifted learners. You’ll find yourself nodding in agreement, learning, and appreciating how SENG came to be. Finding parents who live in your area, becoming a SENG Model Parent Group Facilitator, and/or starting your own SENG group is just one of many ways to create community. Here’s information on the next training, which will take place in Charlotte, North Carolina. Keep your eye out for training opportunities in your area and/or make a plan to be in Milwaukee next July! During NPGC Week only, SENG is offering a FREE SENGinar recording of its popular presentation “Is it a Gift or a Curse?” by Victoria Ragsdell, Ph.D. Sign up during the week of July 17-23, 2011 to take advantage of this limited time opportunity, a $40 value. Register now! Moreover, whether you favor Facebook, Twitter, Google+, online discussion boards, and/or Webinars, today’s social media and Web are filled with opportunities to find answers, support, and hope. It’s never been easier to find like-minded individuals who have a passion for gifted learners. Take a moment and explore some of the social media and Web platforms available today! The more you learn about your child, the more you might find out about yourself. As you arm yourself with new resources, knowledge, and insights pertinent to your gifted child, you may just wind up discovering more about yourself. And couldn’t we all use a bit more grace, understanding, and self-acceptance in this hyper-paced world of ours? On those days when you’re making tough decisions about the best educational options, coaching kids on friendship challenges, contemplating a grade skip, deciding to homeschool or change schools, and/or find an occupational therapist for your twice-exceptional learner, remember this. You’ve been blessed with raising a child who has the potential to surprise and delight you. This world needs your child, and even though his or her wants and needs may not always align with yours, one thing is clear…these young individuals will find their way into a future that desperately needs them. So, this week, pat yourself on the back and remember – YOU are to be celebrated!